Isn’t it embarrassing that you find yourself stuttering incomprehensively when trying to engage in a natural conversation? For people with social anxiety, stuttering can cause more damage to their self-esteem and causes them to further avoid social interactions. Stuttering and social anxiety have an ambiguous relationship. People who stutter do not necessarily suffer from social anxiety. And if you have social anxiety, you do not necessarily stutter. While there are no conclusive studies that link stuttering to social anxiety, a majority of people who stutter do experience social anxiety. Stuttering is pretty common during childhood development. As toddlers learn to speak, they may find difficulty with certain words. But most children eventually outgrow developmental stuttering. But if you’re still fumbling over words in adulthood, you really need to find out the root causes. According to this article on Healthline, stuttering can be inherited from your family or it could be a neurophysiology factor. This means that your nervous system that governs your speech is not behaving properly. neurogenic: the link between your brain and muscle is not functioning correctly. psychogenic: stuttering that happens due to anomalies in the logical part of the brain. My issue with stuttering started after a cracked tooth affected certain pronunciations. As a perfectionist, I become self-conscious each time I speak, and this eventually causes stuttering whenever I tried to pronounce certain words. As I’m writing this, I’ve yet to get the cracked teeth taken out due to my extreme phobia with dentists. I’ve tried different ways to stop my stuttering and there are some tricks that actually helps. Here’s a disclaimer. If your stuttering is caused by physiological issues that require medical attention, these methods may not work for you. 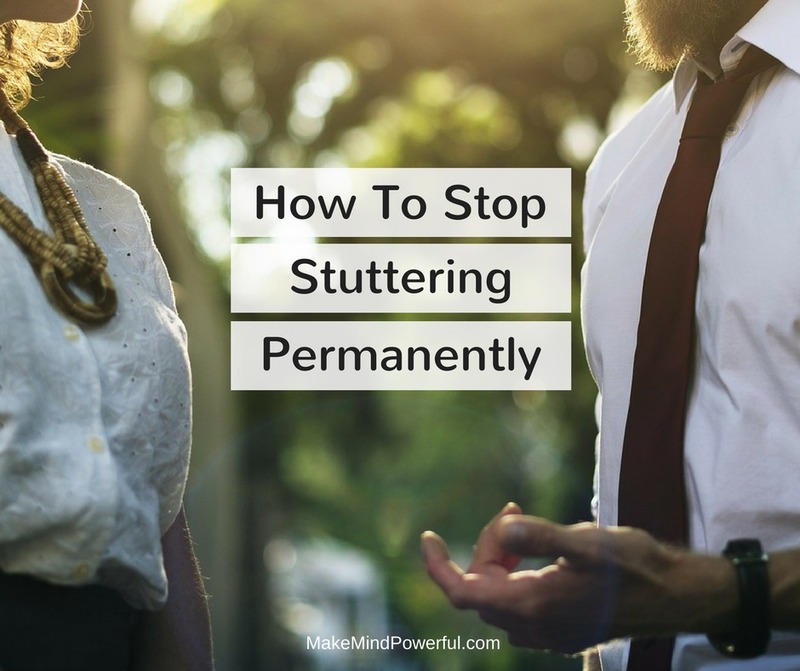 But if you are stuttering because of low-self esteem or self-conscious, then some of these tips may help you to stop stuttering permanently. If you’re a perfectionist, your natural instinct will insist that you get every word spoken right. This can make having a conversation a stressful situation. Instead of focusing on delivering the message, you’re trying to be perfect in grammar and intonation. While I’m not obsessive with my pronunciation, I guess I do care about how a cracked tooth affects my verbal skills. This causes me to subconsciously stutter and repeat words that I’ve pronounced incorrectly. I told myself that I need to lower my expectations in a verbal conversation. When I’m consciously reminding myself of that, I found my stuttering stop and I could speak more naturally, although with a slightly weird pronunciation. Even if you’re not suffering from social anxiety, stuttering in public can be a huge blow to your self-esteem. Like a chicken and egg scenario, a low self-esteem affects your confidence to speak and make stuttering worse. There are great ways to build your self-esteem to a stage where you feel all it matters is your charismatic presence. As you believe that people will pay attention to you regardless of the way you speak, you’ll feel less pressured and minimize stuttering. For a start, you can start dressing up to suit the occasion. Studies have shown that your confidence is boosted when you feel good about your appearance. This is also the reason why I always brought my blazer along when I hosted any events. Read this article for more tips to boost self-esteem. Sometimes you may have difficulties pronouncing certain words. Or if you’re trying to correct a pronunciation that you’ve gotten wrong all along. If you’re worrying about stuttering over a presentation, spend time practicing before you actually do it. Not only it helps with your stuttering, practicing also ensure that you have a smooth start and that will naturally increase your confidence. With that being said, you shouldn’t pile too much pressure on yourself and obsess about endless practice. Set a comfortable benchmark and rehearse. Ultimately, there is still a small gap between practicing and the actual scenario that you need to cross eventually. Do not rush yourself over words. Just because the person you’re having a conversation with is speaking quickly does not means you have to match his/her pace. Take your time in voicing your thoughts and be mindful of each word. 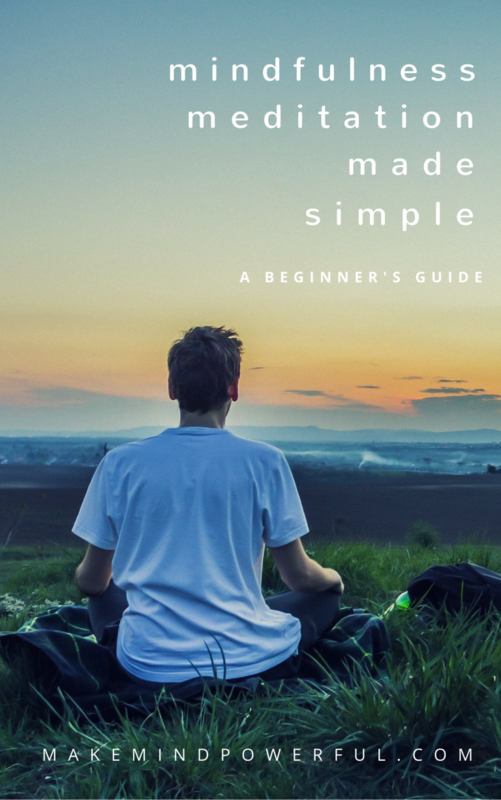 Speaking of being mindful, practicing mindfulness helps in overcoming stuttering. With adequate mindfulness skill, you can brush off self-doubts and unfounded fear when you’re trying to speak. As you focus on having a conversation instead of perfecting your words, you’ll have lesser tendency to stutter. If you’ve been following my blog, you’ll know that I’m an avid fan of hypnosis, particularly after I’ve tried one that boosts my self-esteem when talking to a group of people. If you stutter because of low self-esteem or due to your perfectionist characteristic, hypnosis can be quite effective. It’s a scientific process of rewiring your neuron pathway by tapping into your subconscious mind. And no, you won’t lose your mind or have others making you do things without your consent with hypnosis. In fact, hypnosis has been used by therapists as an alternative treatment for emotional disorders. Learn more about hypnotherapy for stuttering here. Again, I would like to stress that these methods may or may not work for you. Personally, I found them to help me overcome stuttering after suffering a cracked tooth. (And no, I’m not having a dentist to pull it out anytime soon). Do you suffer from stuttering? What have you tried to overcome stuttering? Share your thoughts in the comment below.